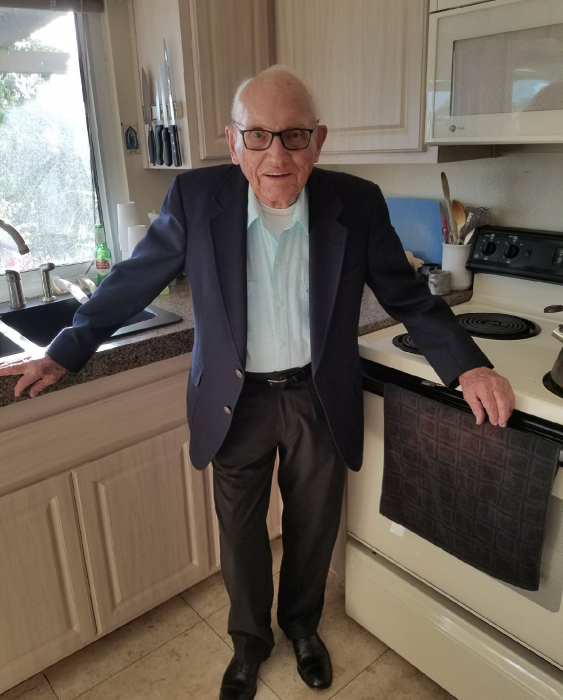 Edward H. Thaete III, 95 of Mission Viejo, passed away February 5, 2019. He was born to Edward H. Thaete Jr. and Harriet Thaete on April 2, 1924 in Columbus, Oh. Ed was preceded in death by his beloved wife of 61 years, Geraldine. Served our country in the Army Air Force as a B-17 pilot. Ed spent the first part of his life on the East coast before moving his entire family to California at the age of 41. Ed was a true patriarch who gave love, kindness and guidance in a caring, hands on fashion that shaped the lives of his family. He is survived by his children: Edward, Christine, John, Lisa, David, Thomas, Bob, Paul and Mike, along with his sister Patricia Votey who currently lives in Tipton Falls, NJ.. He was a loving and involved grandfather to 25 grandchildren and 5 1/2 great grandchildren. Until his passing, he embraced the parish life within the St. Joseph Church community. Many of the parishioners got to know and love Ed for his sacristan ministry and how devoted he was to our Lord. He was a true gentleman to all and will be greatly missed. The viewing will be held on Thursday, February 14, 2019 from 2:30 to 5:30 followed by a rosary at St. Joseph Catholic Church. A funeral Mass will be celebrated at 12:10 Friday February 15, 2019, at the church.